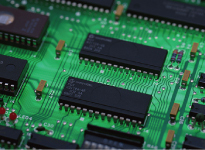 Our raw materials contribute to light weight of housings for laptop computers, tablets, and mobile phones. 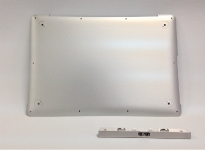 Aluminum alloy plates are Lightweight, easy to process , and present good appearance. They are used for frames and bodies of IT equipment. 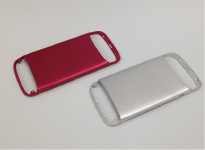 Lightweight and strong aluminum alloy is used for smart phone and tablet cases. 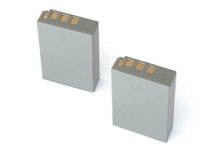 Aluminum battery cases are less likely to be weakened by stress or heat loads from electric discharge, and have good welding performance.We provide the optimum material for this purpose. 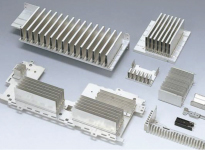 Heat sinks of various types, sizes, and applications are available to manufacture, such as for electronic equipment, automobile, rail way cars, and industrial plants. We supply resin material for making MID boards for smart phones. 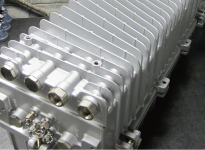 Lightweight and sturdy die cast housings are used for cable TV facility equipment.